Per NFL rules, they want all teams to have their players wear the same helmet throughout the season. 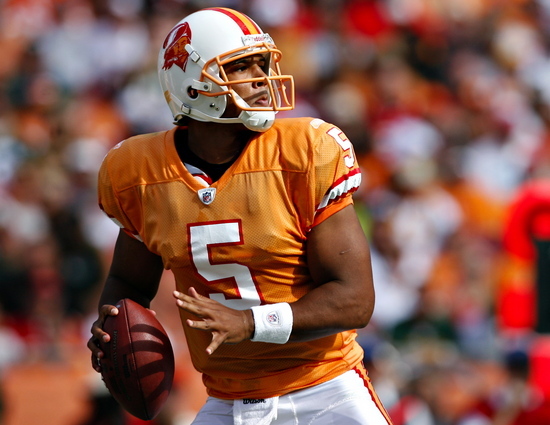 Because of that, the white throwback helmets the Buccaneers were planning to wear will not be used. Some fans may think that this rule is silly, but it actually has merit. Like a baseball glove or basketball shoes, certain equipment need to be “broken” into. Because of that, wearing entirely new equipment, especially that kind that protects the head, might not be the safest plan. If this makes the game safer, I am OK with it. It’s unfortunate in terms of aesthetics and nostalgia as a throwback uniform set that people seem to enjoy seeing won’t be used. We will not be seeing this uniform in 2013. But that doesn’t mean all other teams are left out. Just certain ones. This past Sunday, both the Bills and Bears wore throwbacks. You may be wondering how come they got an exception. The fact is, it isn’t an exception. The league rule says that players cannot have any alternate helmets. The Bills used an alternate design, but it’s still the same white helmet. All they did was change the decals on their current helmet. The same can be said for the Bears as they just removed the decals and changed facemasks. The helmets are still the same. Luckily for these two teams, their throwbacks didn’t require a different shell color to their current set. When the Falcons released their uniform schedule, their annual wearing of their black throwbacks was not listed. Now with this news, it makes sense. But the Falcons don’t have to worry. They can still go throwback. They just have to throw back to this. Some teams like the Rams, 49ers, Titans all have throwbacks that don’t require a helmet shell color change. They can still get by with theirs. 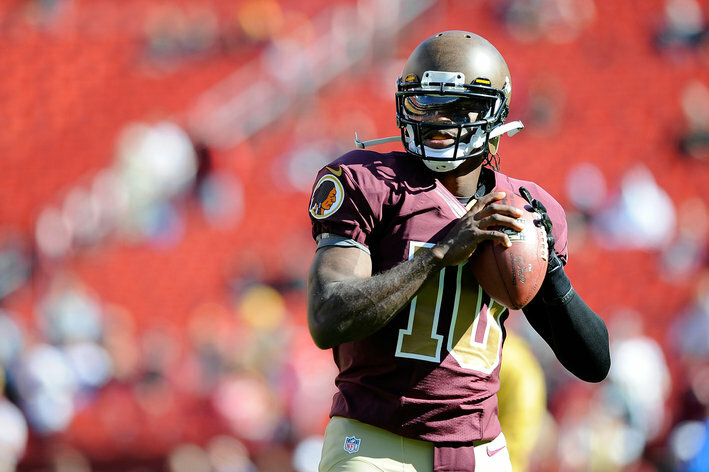 But this helmet worn by the Redskins last year, in accordance to this new rule, will never be seen again. This entry was posted in Equipment, NFL, Old Sets, Tampa Bay Buccaneers, Uniforms & Design and tagged NFL Rules, Throwbacks. Bookmark the permalink.